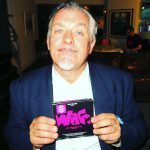 “Three elements collided in 87/88 to make this unique cocktail of hedonism that took over the world,” says DJ, promoter and producer Dave Dorrell, whose landmark club Love at The Wag gave that heady summer its indefatigable moniker, the Summer of Love. House music had been around for a while in the UK. Releases such as Your Love by Jamie Principle and Acid Tracks by Phuture (DJ Pierre, DJ Spanky Spank and Herb J) had done the rounds in groovy club North and South while Farley ‘Jackmaster’ Funk’s Love Can’t Turn Around had the audacity to hit number 10 in the UK in October 1986. Jack Your Body by Steve Silk Hurley reached number one in the UK charts in February 1987. But at the time house music was simply another genre mixed up with hip-hop, disco and rare groove. DJs such as Mike Pickering in Manchester, Graeme Park in Nottingham, Derby-born Hector Heathcote at the Wag Club (who played Your Love, the first house record I ever heard, in ‘85 after a record buying trip to Chicago), and brothers Noel and Maurice Watson, sensing that it was time for a change, were mixing more and more house music into their sets. Lest we forget, ‘house’ music was named after the Chicago gay club ‘the Warehouse’, while other gay clubs such as Frankie Knuckles’ The Power Plant, also in Chicago, and New York’s Paradise Garage (nicknamed the “Gay-rage”) with Knuckles’ best friend DJ Larry Levan, was where the music was coming from. MDM (a close relative of ecstasy) was the drug of choice with a bit of LSD thrown in. I went to Garage in August 1980 and, after running the gauntlet of drug dealers outside who proffered everything from Quaaludes to Mexican mushrooms, PCP, Acid and THC, made my way up this ramp and into this huge space filled with about two thousand rampant, almost totally black and Hispanic gay men. Dressed in singlets, t-shirts, trainers and shorts, they were all totally off their boxes, dancing their asses off. The atmosphere and sheer power of the music hit you like a brick in the face. I had never seen or heard anything like it, and the only woman I saw in the place was my girlfriend. But the influence of US gay clubs on the resultant UK and international rave scene is paramount. It would not have existed without them. Back in 85/86 the only clubs I can recall that played a good chunk of house music (mixed with the likes of Feels Good by Electra and Don’t Make Me Wait by The Peech Boys) were gay clubs like The Pyramid at Heaven on a Wednesday, with DJs Colin Faver and Mark Moore; The Jungle at Busby’s on a Monday with Faver, Vicki Edwards and Fat Tony, and the mixed gay night at the Wag on a Saturday with DJs Fat Tony again and Hector – all of which also, and not coincidentally, had a big MDMA presence. In 1986 certain promoters who crossed into the London/gay/fashion scene began employing DJs with an eye of the future. Robin King and Nick Trulocke (whose girlfriend at the time was Clothes Show host Caryn Franklyn) did Delirium at the Astoria, beginning September 1986, with DJ’s Noel and Maurice Watson who injected a fair slab of house music into their mix. MDMA by 1980 was all over the US and was the number one drug of choice for patrons of the aforementioned gay discotheques, and was legal in the US till July 1st 1985. As for the UK, it was illegalised in 1977, but it wasn’t until 1980 that, to fund their visits, enterprising New Yorkers (including my then girlfriend) smuggled in significant amounts of the powder to sell in underground clubs like Le Beatroute in Soho, after which it became more and more popular amongst groovy club goers for whom Ibiza Town (and not San Antonio) was a premier destination. The playground of naughty jetsetters such as Grace Jones (who was Tony Pike of Pike’s Hotel’s girlfriend), Terry-Thomas, Amanda Lear, Roman Polanski, Steve Strange, Freddy Mercury and Kenny Everett (whose orgies were legendary), Ibiza had been the premier destination for Spanish gays and hippies escaping the wrath of Franco (whose fascist regime ended in 1975) and was as camp as a row of pink tents. It was like the Blitz, Taboo and Studio 54 on Sea. Transvestites (some on stilts) roamed the streets handing out flyers for its premier nightspot The Ku Club that featured a swimming pool, an abundance of extremely beautiful people (many wearing very little) and unbridled hedonism. I‘d been going to the Ku since 1981 and there was nowhere else like it in the world. It and Ibiza were unique. At the clubs you’d see transvestites (on stilts), a man dressed in full American Indian kit con feathered head dress, a couple in Day-Glo Lycra and huge platform boots, Cavaliers, a couple in loin clothes with Aladdin Sane hair and make up. And all in 90 degrees heat. It was off the Richter Scale. In 1985 in an effort to spend more time there I started bringing Wag DJs to the island. I was exporting London to Ibiza and didn’t think of doing it the other way around. I just didn’t think it would ever work. Others disagreed. At the end of August 1987 four friends – Danny Rampling, Johnny Walker, Nicky Holloway and Paul Oakenfold – went to San Antonio Ibiza to celebrate the latter’s 24th birthday and meet up with their old pal DJ Trevor Fung who, working there, informed them of this club on the other side of the Island named Amnesia and this new drug called ecstasy. For yours truly, Amnesia took off only after Alfredo started mixing New York and Chicago sounds around 1985, after which it started opening at 5am where it attracted all the local club workers, who went bananas. DJ Nancy Noise had worked there for two summers before 1987. “I was going out every night all night at Amnesia, Glory’s, Ku…” she explains. “It was those nights that led to clubs like Future. It was a special time in London during the Summer of Love but I wouldn’t say those nights altered my life as much as the nights in Ibiza previously. If I could relive just one night of my life again it would have to be a night in Amnesia. It was the best place on earth!! The first UK club that Alfredo played in in the UK was Project in Streatham, opened by Oakenfold shortly after his return from the island. Initially billed as an Ibiza reunion the club was open till 6am, and Oakenfold played tracks he’d heard in Ibiza; The Chant by Nitzer Ebb and Why Why Why by the Wooden Tops – two records that might have been played at the Blitz club in 1980 – alongside the few Chicago house and New York dance tunes that were available then. Project closed after six weeks, and Oakenfold, with his business partner Ian St Paul, moved their operation to The Sanctuary at the back of Heaven where Future was born. A tiny dark room that held just a couple of hundred it was intimate, and really bloody hot. Indeed, what Rampling did with Shoom, and Oakenfold with The Project and Future was bring back this distinctly Ibicencan approach, mix it with acid house, put it in a tiny club, add smoke machines and flashing lights, throw in a decidedly London edge and open the doors to a crowd, many of whom had never have considered going to Amnesia, Ibiza Town or the Warehouse in Chicago. And their timing was perfect, as that summer quality ecstasy had hit the streets by the truckload. The Summer of Love was under way. After a dismal first night at Shoom, for the second night a month later Rampling went flat out. They filled the basement with dry ice and strobe lights and pulled in DJ Colin Faver who’d cut his teeth paying Euro disco and electro at Steve Strange and Rusty Egan’s club The Camden Palace. A former punk rocker, Faver (who was give MDMA by Soft Cell associate Cindy at the Camden Palace in 1984) was all about electro and up-tempo throbbing beats and as such was the man for the job. To add to it, Rampling now used the soon-to-be-ubiquitous smiley logo, printed on a t-shirts he’d bought from RAP in Covent Garden. Designed by Simon ‘Barnzley’ Armitage the look certainly hit the zeitgeist head on, and they had themselves a hit. By January Shoom (the name describes the rush of E as it hits) was off the scale and had developed its own mores and style of dress. Bandanas, Converse, dungarees, baggy t-shirts and long hair; it was utilitarian, cheap, accessible. And suited the scenario down to the ground. This was now a scene with its own music, drugs, clothes, attitude and philosophy. It was destined to kick off. 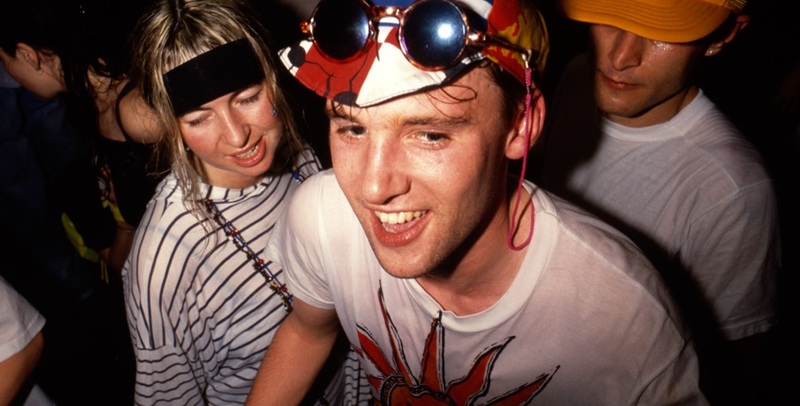 “Shoom was like travelling into a different dimension,” smiles Charlie Fitzgerald, formerly Colston Hayter, whose uber rave promoter brother Tony was dubbed ‘the acid house king’. Chris Sullivan promoted a long list of warehouse parties, founded and ran the Wag Club and is a former GQ style editor who has written for many others including Italian Vogue, The Times, Independent and The FT. He now is Associate Lecturer at Central St Martins School of Art specializing in ‘youth’ cults. What a time. Respect to all those amazing people connected with that time and all those many places (so many). That’s what I thought. Also Amnesia and Ku (now Privelege) are not on the other side of Ibiza from San Antonio!? What memories amazing times, I still relive occasionally but who can forget the old vibe it was such a euphoric movement which no one when experienced could forget. What a throw back to great memories!!! Thank you Silver Magasine – you rock! Great article. 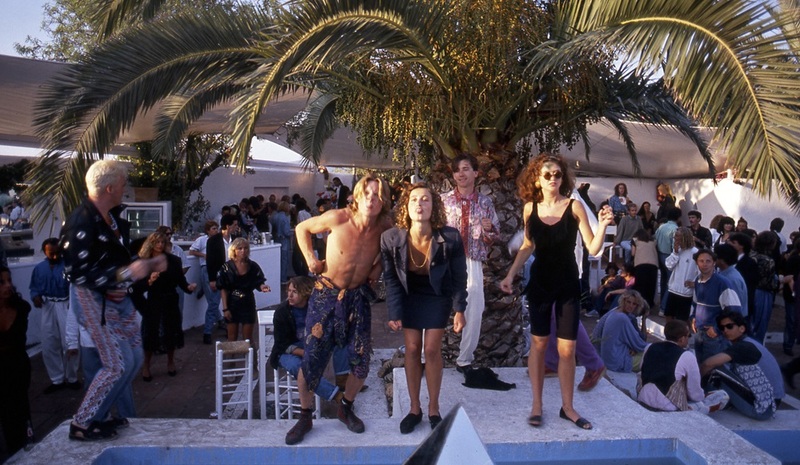 Only recently did I find out that the Ibiza scene was so important. Went to a festival recently and rediscovered that I’m still a raver from 1990! basically london was very gay friendly club wise early 80s but 86 saw loads of hip hop fans flooding up west as Hip hop was being played at Wag / Mud / Dirtbox etc they were the homophobic divs who didnt get ‘House ‘ to the rest of us it was just Disco ‘ on the cheap ‘ as they say . Bang on. I had a great couple of years in Ibiza 85/86. It was all pretty tame really but fuelled with people that wanted to be amongst other individuals. Lots of drugs in 86 especially but the music was a brilliant mix. Remember Why Why Why (Woodentops) and Old Grey Whistle Test theme tune mixed with Cyndi Lauper and Michael Jackson, Talking Heads and the Clash. 87 and after, as always, popularity takes control. Drugs become crap due to demand and the new clubbers lap it up. Goodnight and welcome to someone who has had 9 he’s and is waving his hands in front of his face. MDMA is the chemical abbreviation of Ecstasy which should, in a perfect world, be pure MDMA bound together like all tablets are with binders that might be starch,lactose or a few other agents. Orange people used dried sea kelp to bind their E’s for example. The first tablet E’s in the UK in 1986/7 were virtually pure MDMA (that is why theY cost £20) while the powder after 85 was often cut with speed. It didn’t happen up North first it happened at the same time. I don’t care as I’m from Wales but was deeply involved as a club runner (the Wag club) seven nights a week and saw it evolve record by record first hand. There were so many DJs (mainly in gay mixed trendy clubs) in the South playing House in 86 and nights that were 100% house by early Spring 1987 (such as Delirium) and I credited the North in part one. These things run in tandem and we all bought the same tunes so to say it started in any one place is a nonsense. It was a national movement. as I say “DJs such as Mike Pickering in Manchester, Graeme Park in Nottingham, Derby-born Hector Heathcote at the Wag Club (who played Your Love, the first house record I ever heard, in ‘85 after a record buying trip to Chicago), and brothers Noel and Maurice Watson, sensing that it was time for a change, were mixing more and more house music into their sets.” they get the first credit in the article. In part 2 I quote both Mike and Graeme and say it was growing all over the country. its not nonsense what you say as there were a few DJs up North playing it but there were many here as well. They are nearer Ibiza town than to San Antonio and any proper Ibiza veteran would describe them as being on the other side both geographically and ideologically. Check a map before you comment. I have ben there about 100 times so know the island very very well.